Braun Series 5 5030s is a foil type shaver from the Series 5 of Braun electric shavers. Equipped with modern technology and enhanced features, this product may well be suited for all your needs. The 5 5030S is a high-end foil shaver that is well proportioned to fit your Hand with ease. Let’s look at some of the features that make this Series 5 5030s a favourite among its users. Extremely handy while traveling. You can directly plug the cord to the charger, no need to travel with the clean and charge station. What Men Love About It! 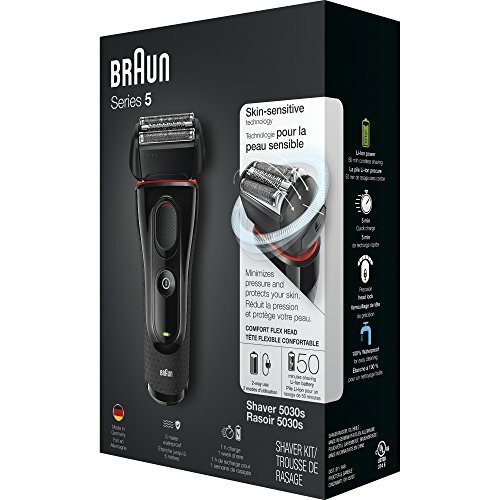 The Braun Series 5 5030S is equipped with 2 senso-foil blades, each of them with their own suspension mechanism giving you a very smooth operation. Suitable for dry use only. The shaving head configuration is a typical of Braun, with two outer foils with octagonal perforations and one middle trimmer. The outer two foils catch and cut those short hairs close to the skin and the ACTi Lift Trimmer, can capture the flat and longer hairs that grow in different directions. Like it's brother the Braun Series 7 it has 30,000 cutting actions per minute and it's just under Braun's newest series 9 model that runs at 40,000 cuts per minute. With independent movement, all the three cutting elements maintain constant contact with your skin. Braun calls this – FlexMotion Tec with Micro Motion. The independent movement of the cutting elements allows you to follow the contours of your face without any hassle. The whole shaving head pivots at 40 degrees back and forth. This motion makes it easier for you to shave areas like the neck region. You can lock the head at 5 different angles for more precise cutting. All of this can be done by simply pushing the head into a different position then use the head lock switch, located in front of the shaver. In two of the positions it is also possible to retract the middle trimmer and the two foils, you get only one foil head which is again very handy when shaving tricky areas like the one under your nose. The shaving head can move in 8 directions for constant contact with your skin. The design of the head of this shaver provides great protection from razor burns. It gives you a close shave without cutting deep into the skin and reduces the risk of ingrown hair. This is important for men with sensitive skin. Powered with a rechargeable lithium ion battery that takes an hour to charge fully and an optional 5-minute quick charge. It gives you 50 minutes of run-time in full charge. When using as a dry-shaver, you can directly plug it into the charger and use the shaver. This is great for those who travel a lot because you don’t have to bring the cleaning station along every time. The battery indicator is in the handle indicating the status of your battery. 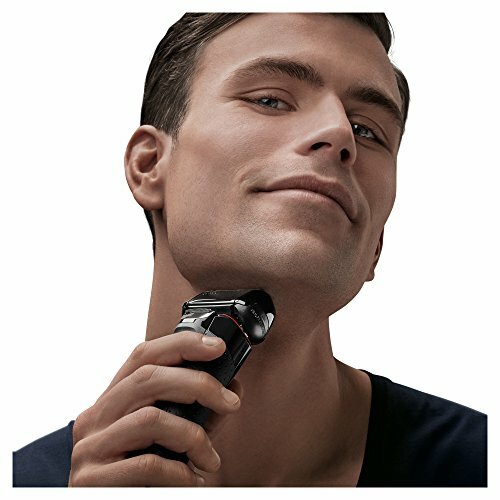 The precision trimmer that comes with the Braun Series 5 5030s is perfect when it comes to shaping those side burns. With a round head and a pop-up mechanism, it is easy and convenient to use. Being waterproof it is very easy to use and handle even when taking a shower. It is completely black in colour shaver which is indeed very attractive. A light weight design providing comfortable shaving time due to the ergonomic design of the shaver. The perforated leather grip along the sides highly improves your grip. It gives results very close to that of manual shaving with a high-quality razor. This shaver can handle a three-day beard perfectly resulting in a smooth and close shave. Being completely waterproof, the Braun Series 5 5030s is easy to clean. The Braun Series 5 5030S is a well-crafted and durable product. The only two short coming is a shorter battery life and a very basic battery display. 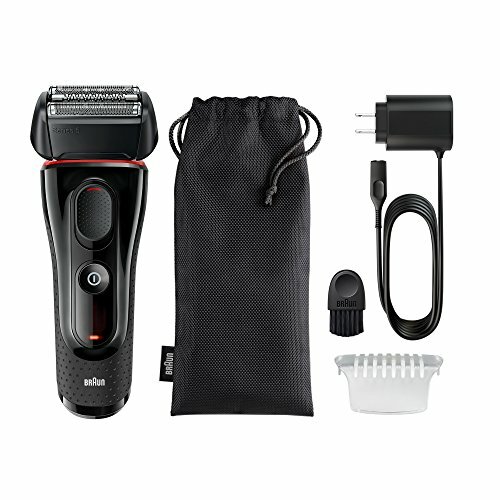 This electric shaver is ideal for those who don’t shave every day and especially for men prone to sensitive skin. With both wet and dry options giving you an absolute smooth, painless and comfortable shave. 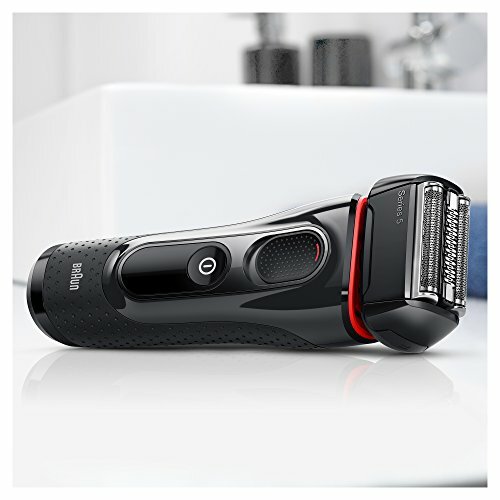 If you are not sure if this is the right shaver for you, compare this model to other Braun Shavers here.